I've been saving for a while... so today, I ordered one of these babies. I'm waiting for my local sewing store to call and say it's arrived from the warehouse. Oooooh my fingers are just itching to have a go at it. How exciting! There is nothing like that new machine smell! Congrats on your new machine! I have a Brother PC 420...it was a big investment for me and it's a good litle workhorse. Have fun sewing! I've got the same one, it's a amazing toy! Unfortunately I've been so busy and I can't find time to sew. oh I love mine! I love how clever it is! 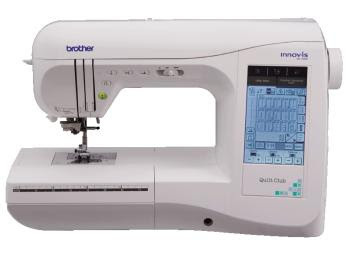 I was thinking about buying a juki for my quilting but I think I'd miss all the clever features on this machine!